Have you ever dig in the reason behind why you are not getting twitter followers, Facebook likes or social media conversions for your accounts? The main reason why you are not getting good conversions is bad timing of posting on social media. So I have come with a detail infographic on best times to post on social media in India. By following this best practice, you will gain more visitors, more engagements and great amounts of followers as well to your social media accounts. 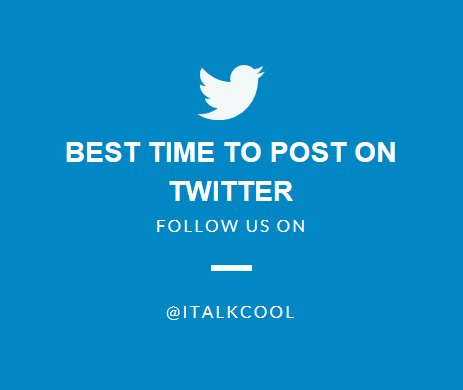 Stop doing more guesses and follow the best times to post on social media. I have research top bloggers articles and according to the case studies I will share the best times to post on social media. Every country has different time zones. 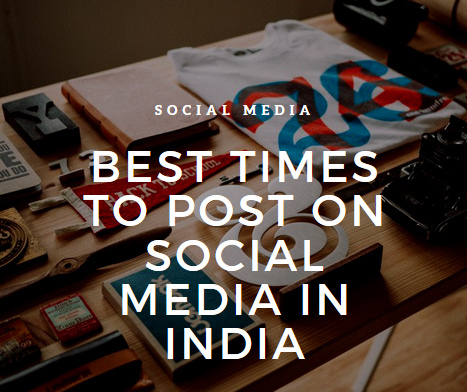 So my research was focused to find best times for posting in India. So you need to keep in mind that you follow these timings properly and post content as per shown in the infographics. The best optimum time to post on Facebook is from Thursday and Friday between 1:00pm to 3:00pm. The reason for this is most people love to check out there Facebook pages as weekend is near. Most people check what are the events going around and what are peoples planning this weekends. People love to check status of other’s Facebook accounts and post data to Facebook. So if you are also moderating your Facebook corporate pages. You can post your product ads and events. You can join more and more corporate groups related to your niche. What to Post on Facebook? What are the digital marketing strategy to follow? I will tell what to post on Facebook. You can create cool infographics and post it on Facebook. As well as recycle your website or blog content by adding creative images. Also for viral post you can have cool Facebook status quotes. You can follow Facebook community and groups also you can develop a customize tab in Facebook for clean CTA which redirects to you landing page on your website. Twitter is the one of the most professional social network. So you should always pay proper attention while posting on twitter. You content should be short which is attention grabbing and have catchy words. The best time to post on twitter is from Monday to Friday between 12.00pm to 6:00pm as click-through rates are higher during weekdays. As it is very common that everyone has twitter installed on their android and iPhone. People loves looking at the updates on twitter whether it could be news, case studies or tutorials. So you should post interesting short content on twitter. Always tweet your content and make good use of tending twitter # hash tags particular day to you niche. Though Instagram and Pinterest are not used by corporate as primary social network advertisement.  Both social network has grab the attentions as this platform are used widely in world. People loves sharing updates on Instagram and Pinterest. The best time to post on Instagram is Monday between 3.00pm to 4.00pm this because most companies posting during this time and stirring interactions. Good time to post on Pinterest is Saturday between 8.00pm to 11.00pm because people have more time to relax and check their account on Pinterest. 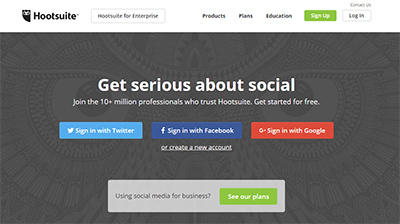 Hoot Suite [Known as Hootsuite] is a best social media tools for social media scheduling. You can easily integrate your all social media such as facebook, twitter, google plus etc by using their free account. What is Hootsuite [Hootsuite media Inc]? Hootsuite is social media management tool which gives you power to schedule and post data from one single platform. All social media account can be managed from one Hootsuite dashboard. Hootsuite Login – You can sign up by creating a new account for free. You also have option for login by using your Gmail, Twitter or Facebook account. Once you login to Hootsuite dashboard. You can click on add social network and integrate all social network by signing in from Hootsuite. Now to schedule a post click on calendar icon from top Hootsuite dashboard. Enter data and time and click on schedule and its done. 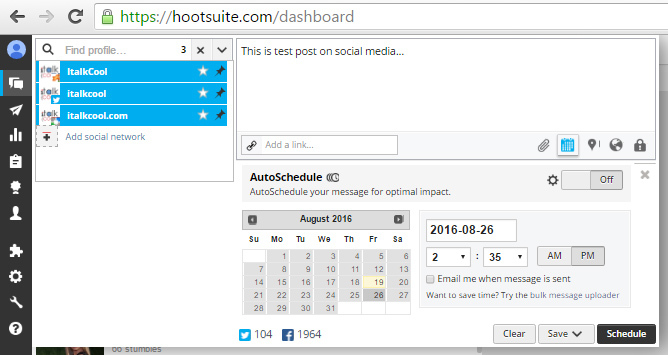 So it is very simple to do social media scheduling by using Hootsuite dashboard. By using this strategy to post data on social media you will gain good numbers of conversion and great click through rates on your social profiles. You can experiment this for one month and get the results quickly. Also to mention everything depends on your audience and your goals as well. So if you follow the right strategies you would discover your own timings as well where you generated more traffics and leads. You can monitor your social media statistics by installing google analytics on your blog or website. Also twitter and Facebook will give you details reports of conversions. So don’t just blindly post on social media because timing really matters now. For example: You watch your favorite shows in evening between 7pm to 11pm at night. So what is the reason behind it. Most of the people are relax and are present at home after long working hours and like to enjoy in front of televisions. So all best rated shows are telecast at night. You could not see those shows in afternoon. So same thing stands for social media posting. Enjoy the infographic below and do share it and please comment below your best times to post on social media. Since I have the most traffic focused on India, this post is very useful for me. I’m sure that time matters a lot even in blog publishing and in facebook also more. I will follow the times that you mentioned here. I hope my traffic will bloom. I’m glad you like the article. Yes timing matters when you post on social media. There was some perplexity in my psyche which has been cleared by this Post. I laud the writer for his written work expertise and inventiveness. nice article……i will try… i also trying to posting on different-different times….